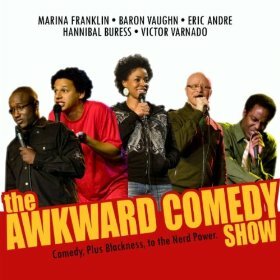 Check out the Awkward Comedy Show tonight on Comedy Central- it features some great comics including Hannibal Buress and the great Marina Franklin and was directed by the very talented, (and friend of WhatSucksBlog), Victor Varnado. It's on tonight at midnight- Comedy Central. The Awkward Comedy Show from Victor Varnado on Vimeo.